AustinPostcard - Bridge Across the Colorado River, Austin, Texas. 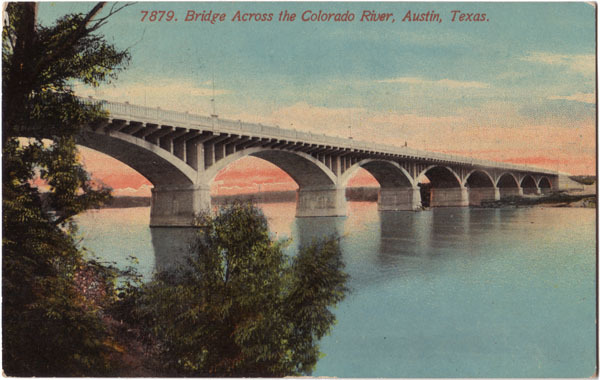 Postcards > Congress Avenue Bridge > Bridge Across the Colorado River, Austin, Texas. Bridge Across the Colorado River, Austin, Texas. Publisher: Sauter & Kuehne, Austin, Texas.